Chill.ie is one of Ireland’s leading insurance online brokers, with an ethos of providing the right policy at the right price. We identified the following keywords as high-opportunity keyword targets to focus on for SEO activity: ‘car insurance’ and ‘home insurance’, ‘business insurance’, ‘life insurance’ and ‘mortgage protection insurance’. 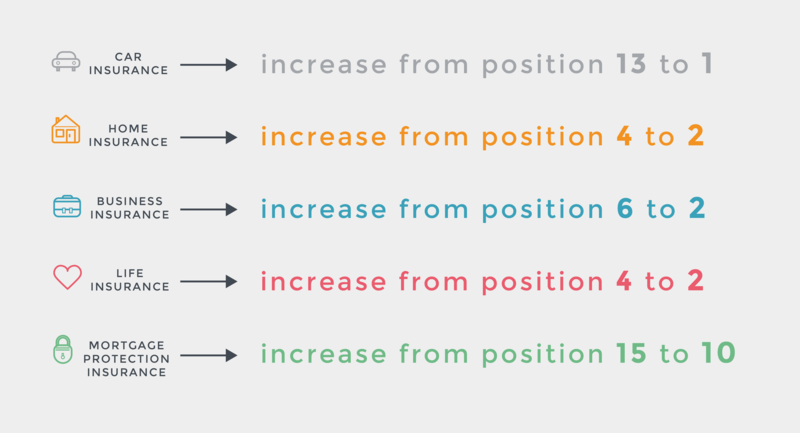 Bespoke keyword research and analysis of Chill’s onsite content helped to create a strategy document mapping out gaps where lay opportunities to create new pages featuring the long tail keyword focuses previously identified. Our content team then created suitable assets conforming to our rigorous ‘SURE’ standards (substantial, unique, relevant and engaging) which, once signed off by the client, were uploaded to the site. We also developed unique pieces of creative, shareable content to increase lead generation, while helping improve organic search rankings for the client’s website, as well as presenting Chill as a thought leader regarding safety behind the wheel. The aim was to achieve earned media placement among bloggers specifically with an audience demographic relevant to Chill’s market – specifically Irish bloggers in the beauty, food, music, family and pet sectors, as well as national media coverage. The content we created comprised of an infographic, press release and factsheet entitled Driving Me Crazy, all differentiated to target appropriate bloggers or press sites. It was crafted to give serious insights and food for thought around driving safety, but also presented in a humorous and accessible manner. The infographic is creative and visually striking, while the content engages with the blogger and their audience in a way that is relatable while highlighting local brand relevance. This is unique content, segmented to audience to ensure high relevance – indicating that the client is has a connection with each blogger segment. The content was based around an online survey we carried out among Irish drivers, exploring different driver behaviours. The questions were constructed to allow different possible scenarios and connections to be explored – dependent upon feedback and analysis – creating new, data-driven information. The questions were also carefully devised to appeal to target blogger demographics and their audiences. 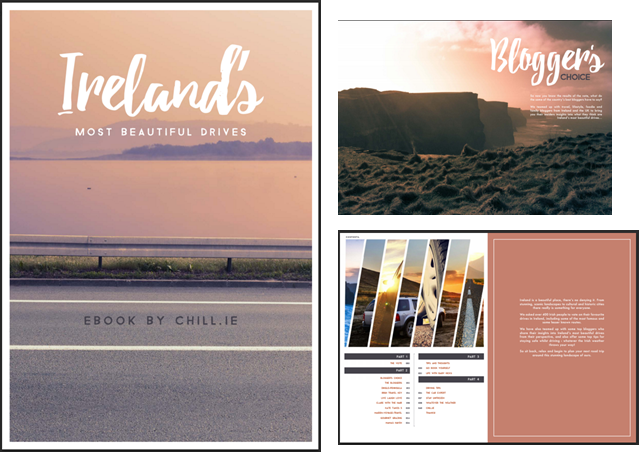 In addition to this, there have been subsequent campaigns which have further improved visibility and performance for Chill.ie – the latest comprising of a combination of fantastic design work and stunning photographic images for an eBook titled ‘Ireland’s Most Beautiful Drives’. This content marketing campaign centred around the creation of a magazine style eBook on Ireland’s most beautiful drives voted for in a survey, to expert and blogger tips on safe driving in different weather conditions. A campaign of audience survey, targeted blogger engagement and social amplification was then designed, delivered and analysed. Driving, Lifestyle & Family bloggers were then engaged by the campaign team in a dialogue around their top tips for driving in different weather conditions, their favourite Irish driving routes or personal tips on travelling in Ireland. From this dialogue, collaborative posts were gathered and enthusiasm to be part of the Chill Insurance campaign was fostered. 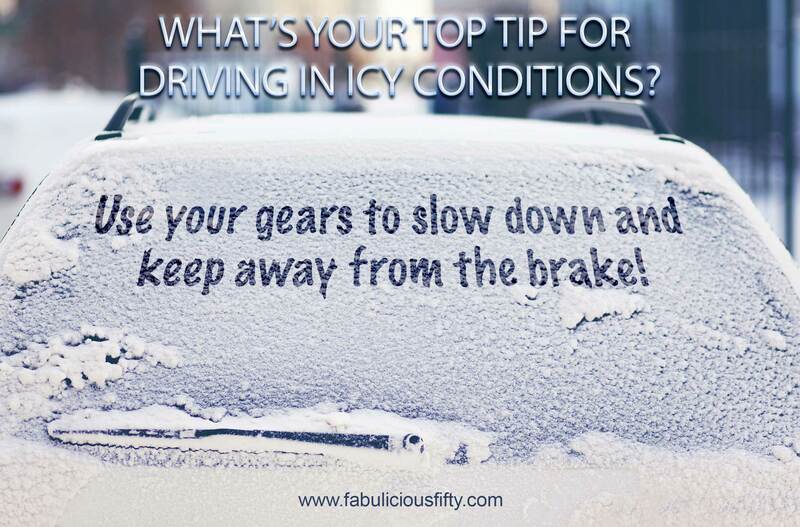 The quotations in the form of driving tips were gathered and, if the blogger wished, these were placed within a bespoke campaign image for social sharing and blog visuals, along with the eBook. Bloggers, who gave tips regarding Irish drives and locations, had their quotations added to the bespoke campaign eBook. We also offered a bespoke blogger badge to add to their blogs if taking part, letting them tell their audience the eBook was coming soon. The bloggers featured in the eBook were then asked to write a post about the eBook, each with a homepage link to the Chill Insurance website and a link to download the eBook. We gave the bloggers some social amplification help on how to attach the eBook to gain links correctly and get them to share on social media for reporting. High Domain Authority Driving, Lifestyle & Family bloggers were identified for this campaign. 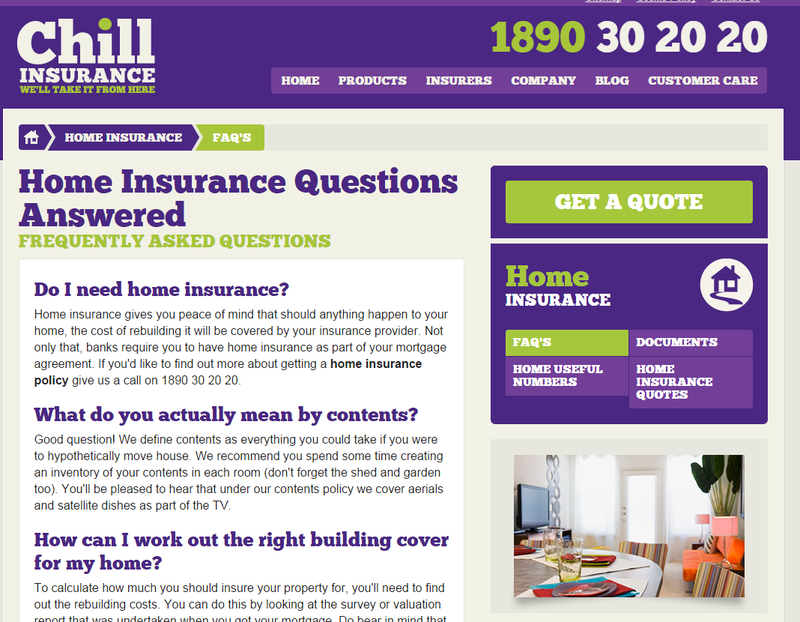 This resulted in a high level link building pattern supporting Chill Insurance online. As bloggers were engaged with and a partnership approach was developed, the posts are natural and the bloggers own ideas form strong material to endorse the brand. Overall, the improvement in organic traffic allowed Chill.ie to reduce their paid search spend dramatically, with a cost saving of up to €90,000. Want to see a dramatic rise in your organic traffic? Contact us today for your free insight report.